The U.S. 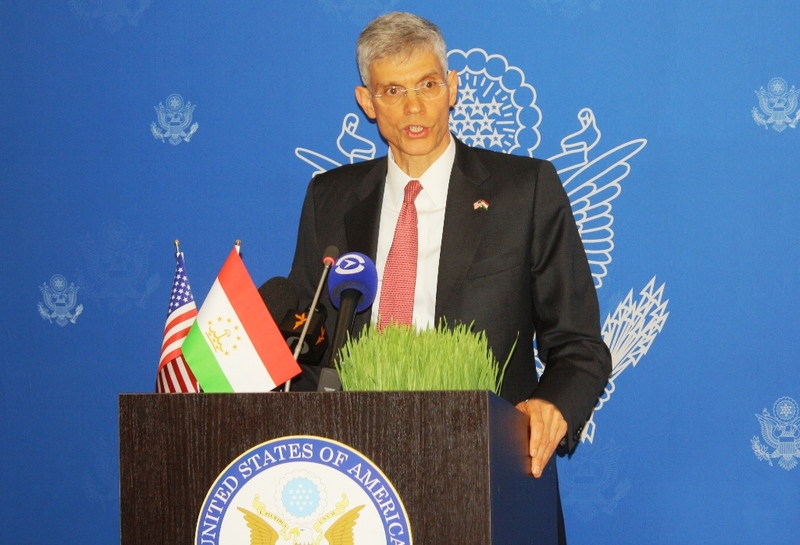 Ambassador to Tajikistan, Mr. Mark Pommersheim, says the United States declares for free access to Internet. He remarked this in Dushanbe yesterday answering questions from journalists. Asked about the United States’ position regarding the Tajik authorities’ decision to raise price for mobile Interne, Ambassador Pommersheim noted that access to information plays a very important role and all citizens should have access to information, irrespective of its kind, whether it is print media, radio or Internet. “It is necessary to provide access to information across the whole world. It is our common vision of this issue, and of course we sometimes work with the governments of various countries to assist with providing population with access to information,” U.S. diplomat noted. Recall, by Antimonopoly Agency’s order on tariffs for telecommunications that was issued on March 4 mobile Internet is expected to rise in cost in Tajikistan beginning on March 27. The Antimonopoly Agency announced last week that as of March 27, mobile telecommunication services providers will be able to sell online data for no less than 0.05 somoni per megabyte and the price for one minute of mobile international call, including NGN communications, will amount to no less than 1.00 somoni (taxes not included). The March 4 order was justified by a curious interpretation of the law of supply and demand. Rajabali Mahsiddinov, an official with the Antimonopoly Agency, noted that mobile operators would now be in a position to provide better online speeds. According to him, they commit to increase the Interne speed from 512 megabyte per second to 1,024 megabyte per second. “Besides, mobile operators should provide 4G and LTE communications in the whole territory of the country,” Mahsiddinov said.